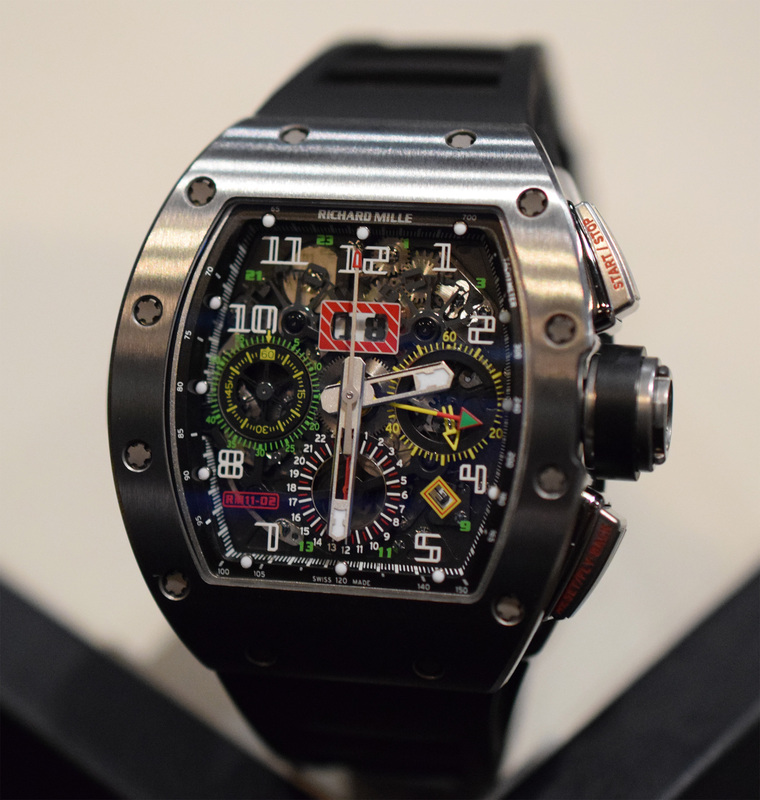 It’s hard to imagine now but at one time Richard Mille was just a small, relatively anonymous Swiss operation, making technically impressive timepieces that came with equally impressive price tags attached, for a very niche clientele. There were even those who questioned whether the brand could survive given the high R&D costs and limited production capabilities. 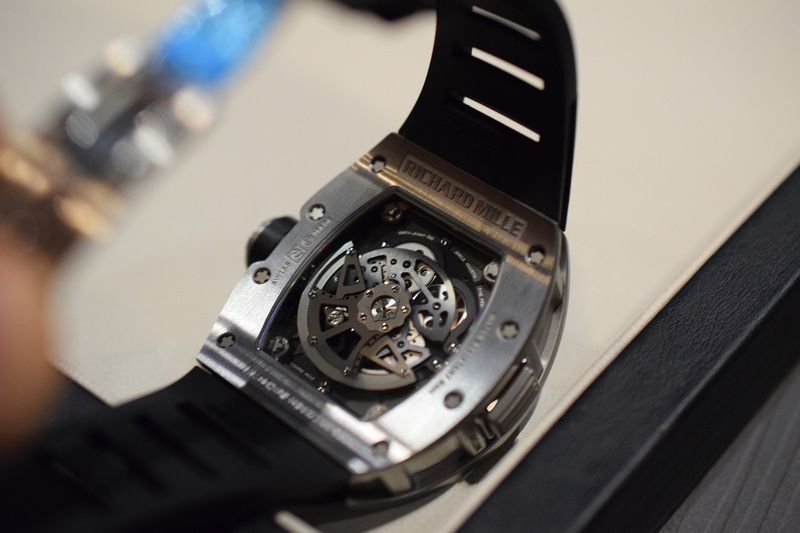 Of course those people didn’t count on one important factor; Mr. Richard Mille. A charismatic showman who found a way to stand out amongst an industry filled with them, Mille took the idea of the ‘brand ambassador’ to the next level, creating increasingly complex timepieces that his high-profile spokesmodels could actually wear on their wrists whilst they went about their day jobs. Now, for a typical Richard Mille brand ambassador these ‘day jobs’ could range from competing on the PGA tour to challenging for the title of fastest man in the world at the Olympics. Every second of each such occasion was – thanks to the power of television – of course captured on video and then beamed into millions of homes around the world in HD quality, causing more than a few rabid fans to grab for their phones to quickly Google what watch their new hero was wearing. Genius. 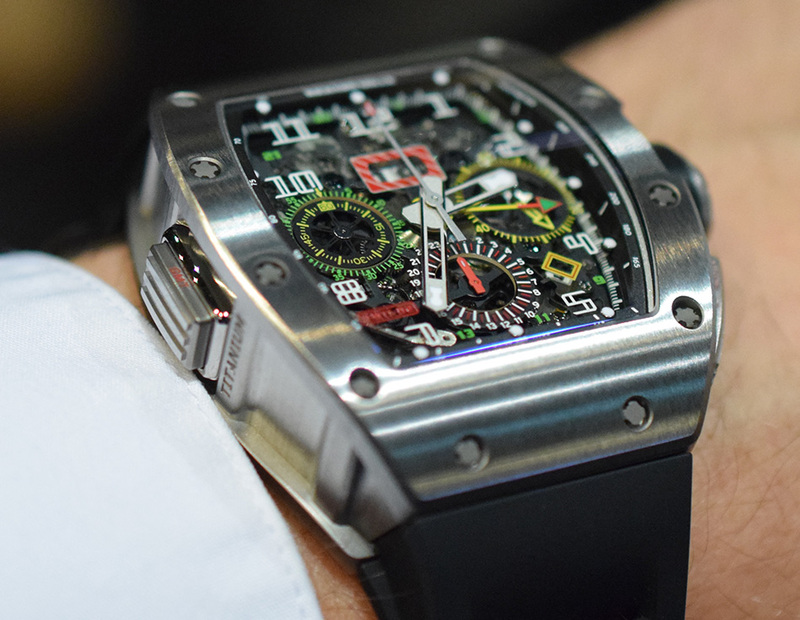 Thanks to its ongoing popularity over the years, the RM 011 has undergone a number of iterations and updates, with the most recent coming in 2013 in the form of the RM 011-S. 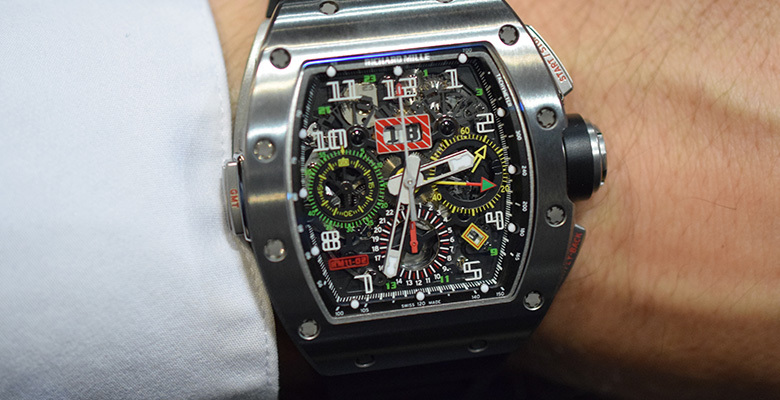 In 2014 however, much to the delight of fans worldwide, the RM 011 was superseded by the RM 11-02. At first glance the new RM 11-02 doesn’t look that remarkably different from its popular predecessor, other than a slightly updated color scheme and of course the addition of a dual time complication. And why would it, really? After all this has been one of the brand’s most successful collections for the better part of the last seven years, why mess with a proven formula? Look a little closer however and you’ll soon discover that a whole lot more has changed than just the colors on the dial. 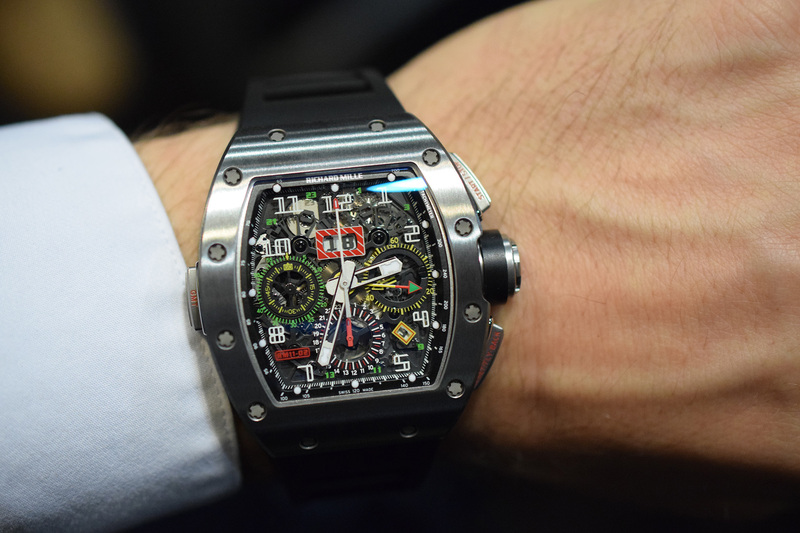 This is Richard Mille after all, a company which firmly believes in the age-old adage that if you’re not moving forwards, you’re moving backwards. As I alluded to before one of the primary improvements is the addition of a dual time complication. This is not just a bolt on job however but rather the result of an entirely new calibre, the RMAC2, which supersedes the original calibre RMAC1. In addition to the functions the RM 011 offered, including a Flyback chronograph, annual calendar with oversize date, 60 minute countdown timer and 24 hour totalizer, the RM 11-02 adds a UTC feature for the indication of a second time zone with a Super-Luminova filled hand. Now a dual-time indicator is nothing revolutionary of course but for many – myself included – it marks the final piece of the puzzle for what is already a highly practical watch, and especially one that was originally designed to be present at events that took place at multiple locations around the globe. A watch’s functions are only as useful as they are easy to use however, and so rather than over-complicating matters by forcing wearers to use the crown to set the second time-zone a handy pusher has been added to the side of the rectangular-shaped case at 9 o’clock. This allows you to quickly and easily advance the GMT hand forward in one-hour increments without having to take the watch off. Best of all it doesn’t interfere with the overall aesthetics of the classic RM 11 case, meaning that it still wears very comfortably on the wrist. The PVD treated titanium movement is fitted with two winding barrels and an automatic winding rotor with variable geometry supplying circa 50 hours of power reserve. The distinctive tripartite case meanwhile requires 68 different stamping operations for the three main components (bezel, middle section and caseback), with the machine tooling process taking 8, 5 and 5 days of adjustment to the machines for each main component respectively. The end result of course is a highly recognizable, extremely strong and impossibly light torneau-shaped case measuring 50.00 x 42.70 x 16.15mm. Perhaps most attractive though, in my opinion at least, is the dial. Although a little overwhelming at first given the incredible volume of information on display, the clever use of contrasting colors quickly helps you get your bearings. There’s the oversize date display just below 12 o’clock, which is complemented nicely by the semi-instantaneous month display indicated by Arabic numerals, placed between 4 and 5 o’clock. The two sub-dials at 6 and 9 o’clock meanwhile track the elapsed hours and minutes when the flyback chronograph is activated, whilst elapsed seconds are tracked by the central seconds hand. 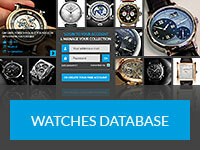 The sub-dial at 9 o’clock also offers the added functionality of a count-down timer. This has been achieved by replacing the traditional minutes hand for the 60-minute counter with a skeletonized disc that allows the user to read both elapsed minutes but also minute remaining. The final function, in addition to the standard time display of course, is the UTC indicator which tracks the second time-zone. Easy to use, easy to read and above all extremely well-made, the Richard Mille RM 11-02 Flyback Chronograph Dual Time is well placed to continue the successful legacy its predecessor began. Price: US$160,000.